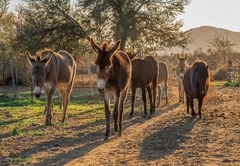 Mirtehof Guest Farm Estate is a Prince Albert hotel providing accommodation in 3 guest rooms for tourists visiting the Karoo region. 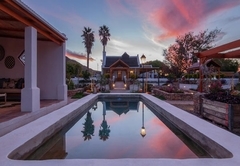 Situated in Prince Albert, Mirtehof Guest Farm Estate provides luxury accommodation and is perfect for a Karoo honeymoon, a rejuvenating break from the concrete jungle, or just a well-deserved escape. 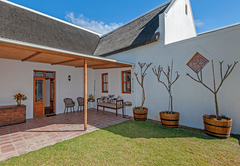 The estate is located on the edge of town with beautiful views of the surrounding countryside. 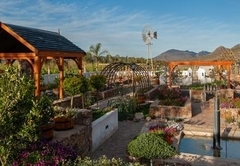 A visit to our magnificent garden is a must. 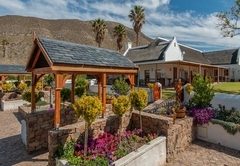 The Mirtehof Guest Farm Estate hotel rooms include Wi-Fi, DStv, a safe for valuables, coffee / tea station, air conditioning and underfloor heating. 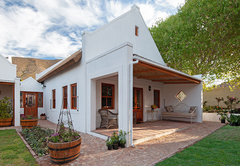 There is a laundry service and the Mirtehof Guest Farm Estate has a swimming pool. 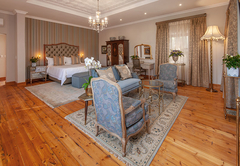 The Prince Albert Suite is our flagship room and occupies the entire, newly built west wing of the farmhouse. 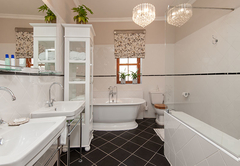 The suite is furnished with an extra length King-size bed and has a modern Victorian-style bathroom. 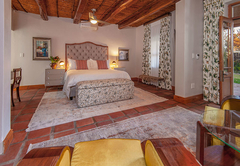 This suite is furnished with a King-size bed and has a sitting area with a reading lamp. 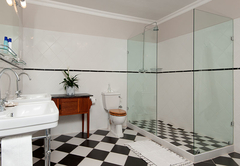 There is a coffee station with a kitchen basin, a bar fridge, a ceiling fan and Persian carpets. 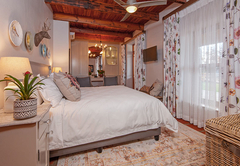 The suite is decorated in soft pastel tones and has beautiful Oregon wood ceilings. 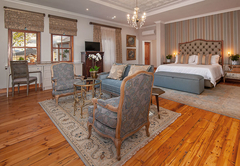 The Persian carpets, artwork and King-size bed give a sense of serenity. 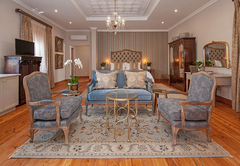 The Prince Albert Suite is our premium flagship room. 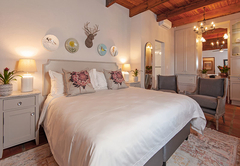 It occupies the entire, newly built west wing of the farmhouse.This suite offers a comfortable, extra length, king-size bed and a modern Victorian-style bathroom. 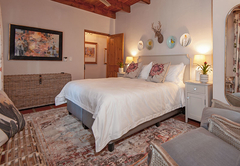 The Orchard offers a king-size bed and a sitting area with a reading lamp. 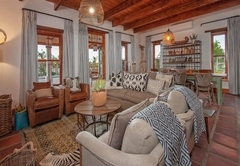 There is a coffee station with a kitchen basin, a bar fridge, a television set with DStv, a ceiling fan and air-conditioner, underfloor heating and Persian carpets. 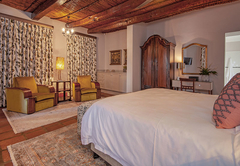 The soft pastel tones of the Persian carpet and original Oregon wood ceilings, combined with elements of nature reflected in the curtains and artwork above the King size bed is guaranteed to soothe and give you a sense of serenity. 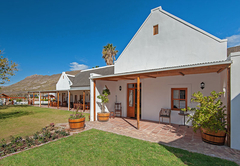 Response timeMirtehof Guest Farm Estate typically responds to requests in 5-10 minutes.